● The homepage occasionally features a variety of special promos, which have previously included seasonal sales, giveaways, free shipping deals and discounts on selected items. ● Save up to 50% off your purchase by shopping on the Sale page. ● Check out the Blowout Deals section to take advantage of a variety of money-saving deals. ● The company usually offers free US shipping on orders that reach a minimum purchase value. In the past, these have included orders worth over $50. This offer seems ongoing, but may be discontinued or modified at any time. International shipping is also available. ● Subscribe to the newsletter or connect with the company on social networks like Facebook and Twitter to receive timely updates on the latest products and promos. 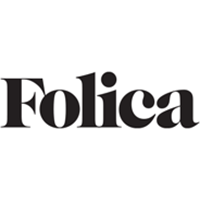 Folica is a hair care site that offers a full range of hair products including hair removal, hair loss remedies and hair color among other merchandise. Navigation is done to various hair care products by using the tabs at the top of the landing page. This site also offers information about various hair topics from removal to growth options. Users can shop by brands or by categories. There is a hairstyling blog that can be accessed through the link at the bottom of the page. There is also an area to search for gifts that is located on the home page. For most up to date offers check out Folica on Facebook and Twitter or contact Folica Support for any questions.